Posted on 27th August 2011 at 09:07. It’s pretty obvious to anyone who keeps their eyes on the news that interest in, and membership of social media sites just seems to grow and grow. First we had Facebook, then Twitter, followed by LinkedIn and YouTube. Now we’ve also got Google+ added to the mix. It appears that the public interest and excitement knows no bounds. It’s the same for businesses too. Most have now cottoned onto the fact that social media marketing is the way to go. It’s no surprise then that companies are prepared to spend big on social networking sites to be able to capture that extra bit of business and steal a march on their competitors. There have been various studies over the last couple of years trying to determine exactly which businesses are spending and to pinpoint where they’re spending. Unfortunately many of these studies have come up with contradictory conclusions. However, a recent survey by the Direct Marketing Association might at last throw a little bit of light on the matter. According to the survey commissioned on behalf of the DMA, businesses are planning to allocate the largest proportion of their marketing spend on the social media in order to engage prospective customers. Marketers were asked how much more they were spending on different channels this year compared to last. The responses were graded on a scale of 1 to 5, with 5 being the highest and most important. Surprisingly social media marketing weighed in with a score of 4.1: this was surprising because this figure was considerably higher than at the same time last year. 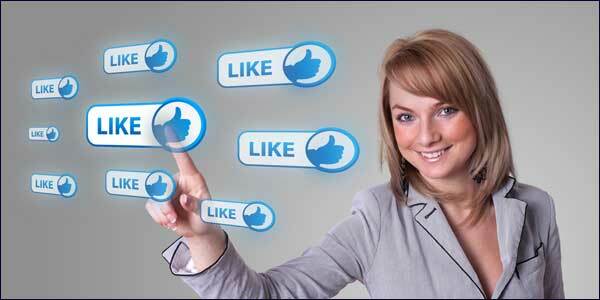 Social media marketing is attractive to businesses because of its vast and receptive audience. Interestingly the businesses involved didn’t want to squander a large part of their budgets creating social content for their profiles: they preferred instead to spend the money developing specific social applications and investing in display advertisements. Businesses however were keen to spread their bets, and consequently also targeted a large proportion of their budgets at other advertising channels. Search, including paid and SEO weighed in at 3.9, mobile advertising 3.8 and email marketing at 3.5. The general conclusion reached by the report is that there is a general shifting of marketing budgets by companies away from traditional advertising channels like direct mail, insert media and direct-response print, towards digital marketing platforms. The statistics are actually backed up by another survey undertaken quite recently by Marketing Sherpa, which also verified the increasing business focus on search engine optimisation (12%) and email marketing (11%) over the course of the last 12 months, highlighting their importance when it comes to reaching new and existing customers. 1 In 2 Website Designers Choose To Ignore Mobile UsersAre Search Engine Marketing and Search Engine Optimisation one and the same thing?